Above: Winsor McCay in 1906. CUNY students and faculty are invited to submit their animated short films to the Rarebit Animation Festival! Please click HERE for submission materials, or click the submit link below. Deadline: May 17, 2019. 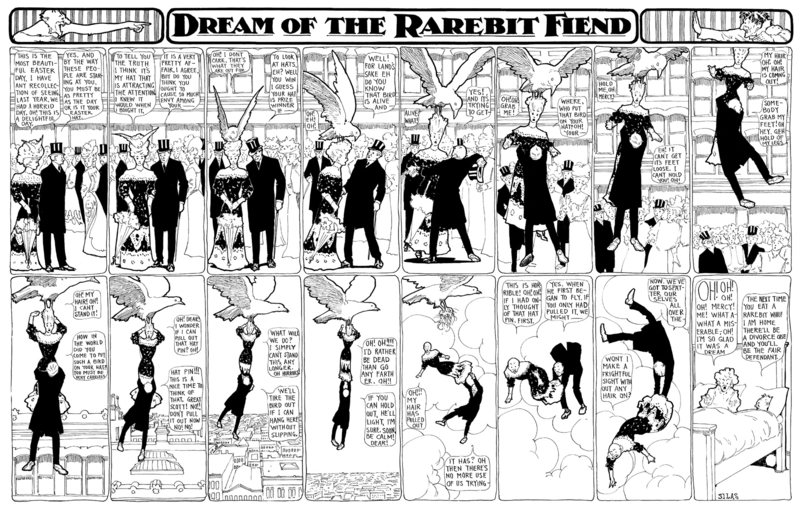 The Rarebit Animation Festival takes its name from Dream of the Rarebit Fiend,the innovative and often surreal comic strip by one-time Sheepshead Bay resident Winsor McCay (c.1867-1934). Perhaps best known for his popular strip Little Nemo in Slumberland, McCay was a pioneer in the art of animation--his cartoon Gertie the Dinosaur (1914) was one of the very first animated films ever created. The Kingsborough Art Museum is proud to remember the legacy of this important American cartoonist and animator through the Rarebit Animation Festival. The Rarebit Animation Festival is open to all CUNY students and faculty. For additional information on the festival, please contact the festival organizer and curator, Tom Eaton, at thomas.eaton@kbcc.cuny.edu. The 2017 Rarebit Animation Festival (above) was a great success, bringing together Animation students and faculty from across CUNY.